Being the poor college student and marketer that I am, I love loyalty programs. For any company that I visit on a regular basis, I most likely have some type of loyalty card for them. In terms of just coffee shops I’m signed up for three! My birthday is this month so I am very much looking forward to getting free stuff from all of my loyalty programs. 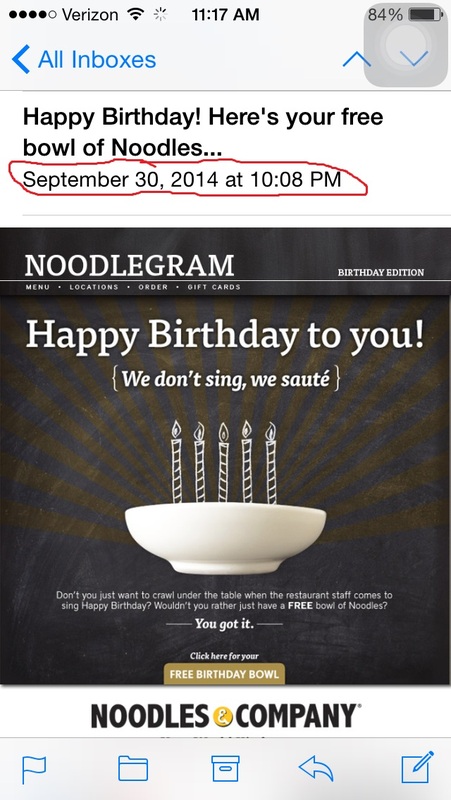 Beginning first on September 30th from Noodles and Company, and October 1st and 12:01 from Drake, I started receiving my birthday offers. Unfortunately, my birthday is not until the 13th. These companies were sending me things nearly two weeks before they should have been. This lack of attention to detail is due to laziness. These companies have all of their loyalty members in a database and they probably just hit a button on the first of each month to send a birthday promotion to everyone who has a birthday that month. All they would have to do to be more accurate and therefore more credible to the people whose birthday is not on the first of the month is some database management. Even sending a birthday promotion at the beginning of each week would be better than just the first of the month – a task perfect for an intern. It’s disappointing that companies can’t be more detail oriented in an effort to improve and retain their relationship with their most loyal customers. Unlike the companies that have been sending me my birthday promotions, when used correctly, these programs can be very adept at building long-term customer loyalty. For instance, even though the program is not very advantageous for the consumer, (buy 12 drinks, get one free) The Starbucks program is one of the best in my mind. All a consumer has to do to join is register a gift card. With this registration they get a free drink on their birthday, free black coffee when they stay in the store, random emails with promotions, and a free drink for every 12 they purchase. 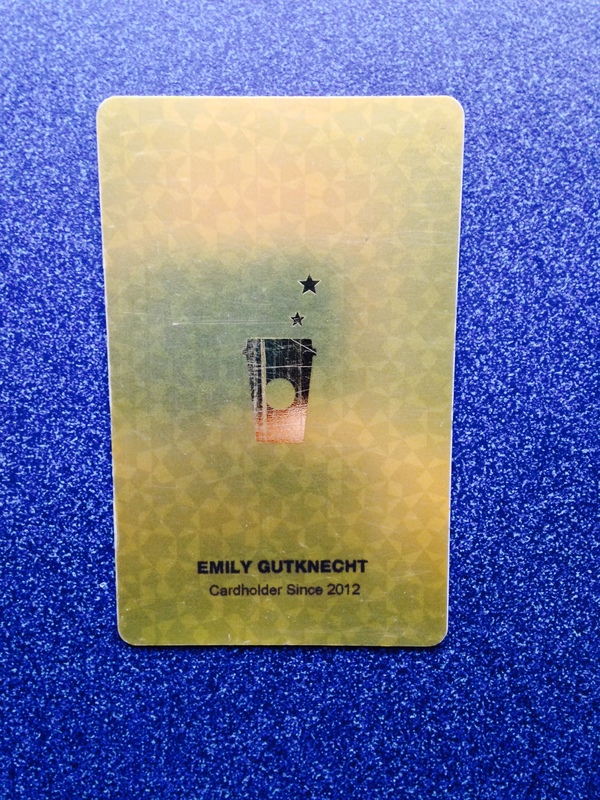 When a consumer purchases a certain amount of drinks in a year, Starbucks sends them a personalized Gold Card. This card comes with extra perks in addition to the ones listed above. As a consumer, the Gold Card is a really cool thing to have it’s shiny, has your name on it, and is a status symbol so that everyone knows you drink a lot of STARBUCKS coffee. From a marketing perspective, the Gold Card is a gold mine for Starbucks. Members load money onto their card which they then use to purchase Starbucks products, so Starbucks knows everything about their best customer’s buying habits – what they buy, how often they buy it, even the time of day of purchases. They can use this information to create custom direct marketing offers for specific types of consumers. Have you ever experienced a well-intended but poorly executed promotion?